Marketresearch for multiple German firms. Consulting for firms, specifically for the ones with the intention to come to Japan. If interesting, translations (e.g. patent translations). Due to 15 years in Japan, many contacts to business and academics in Japan. Contacts to official and local entities. Kansai-area (Osaka, Kobe, Kyoto region), acceptionally activity at Tokyo or other geographic areas. Company- research and teaching at diesel engine producer at Osaka, Shiga. Integration and communication manager for a Japanese Steelmaker at Shingawa, Tokyo. Inpatriate study of Technology Firm at Kyoto. Project study for several firms in automobil and machinery sector. 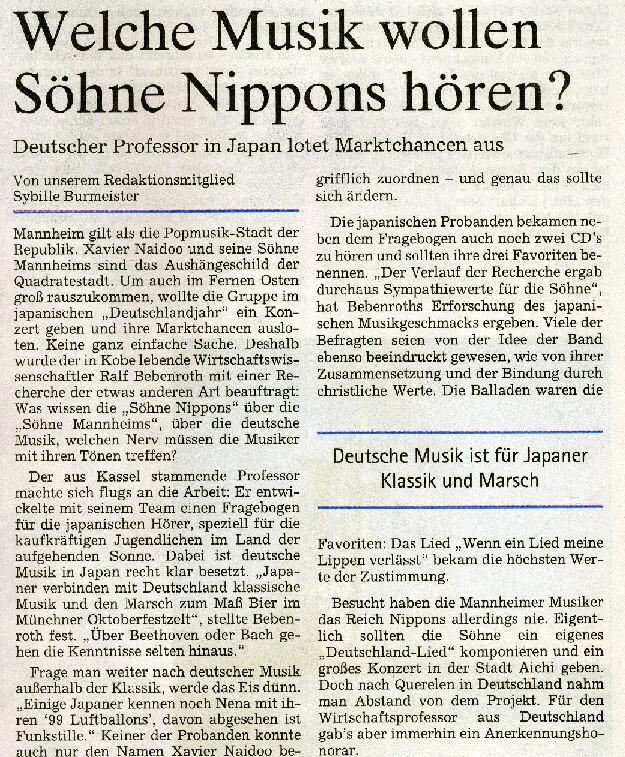 Projects for German winery firm to enter Japanese market. Research for German Ministry for trading environmental certificates.